Australia is an amazing country. It has everything a migrant could want, diverse landscapes, friendly people and great weather. However, newcomers to Australia must fully understand what they are getting themselves into before they migrate. Anyone who wants to live in Australia will need to get the appropriate visa. As Australian immigration laws are strict, migrants have few options available to them. 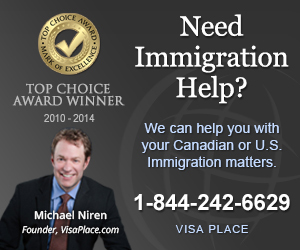 They can apply for a work visa or apply for a family visa. Those who are in a relationship with an Australian may qualify for a de-facto or marriage based visa. It is worth noting that Canadians aged between 18 to 30 can apply for a working holiday visa. The majority of migrants move to three major cities. These are Sydney, Melbourne and Brisbane. Unlike the US, the Australian economy has remained strong over the past decade. Work should not be too difficult to find if one is not too picky. Unfortunately, the country has a very high cost of living. This is true regardless of which area a person migrates to. However, Australians are paid well. Even those in unskilled work can make more than $20 an hour. The school migrants send their children to will ultimately depend on where they live. Children can attend schools for free if they are permanent residents. Otherwise, parents will have to pay an international student fee. Listed below are some facts that newcomers to Australia should be aware of. Both Sydney and Melbourne have excellent job opportunities for skilled and unskilled migrants. Many migrants move to Brisbane as the city has a warm climate. Australia has extremely hot summers. Migrants should be prepared for temperatures over 40 degrees in the summertime. People who live in tropical areas will need to keep an eye out for spiders, snakes and crocodiles! The country is well-known for having numerous animals and insects that can harm humans. Those who qualify for a visa, should not hesitate to move to Australia. Most immigrants are very happy with their life in Australia. This country has something to offer everyone. It is a great place to raise children. Younger people also thrive in the country due to numerous employment opportunities and a vibrant nightlife.